The French fashion house that propelled a young Yves Saint Laurent to fame in his twenties has been without a creative director since Raf Simons left suddenly last October. But that’s about to change. The most hotly anticipated news in the fashion biz has just been leaked, according to news service Reuters, as to who will take the reins at one of the most influential houses – if not the most – in the business. For months rumours have swirled that either Alber Elbaz or Hedi Slimane (who has headed up Dior Homme in the past) would be announced any day now – both have been without formal roles since leaving Lanvin and Saint Laurent respectively in recent times – but that hasn’t been the case. Instead, word is Dior has for the first time in its 70-year history tapped a woman to be at its head: Maria Grazia Chiuri. Chiuri currently shares the top job at Valentino with her design partner, Pierpaolo Piccioli, and the two have been widely applauded for giving what was largely an outdated house fresh currency since Valentino Garavani retired in 2007. (Case in point: the Valentino rockstud shoe phenomenon.) 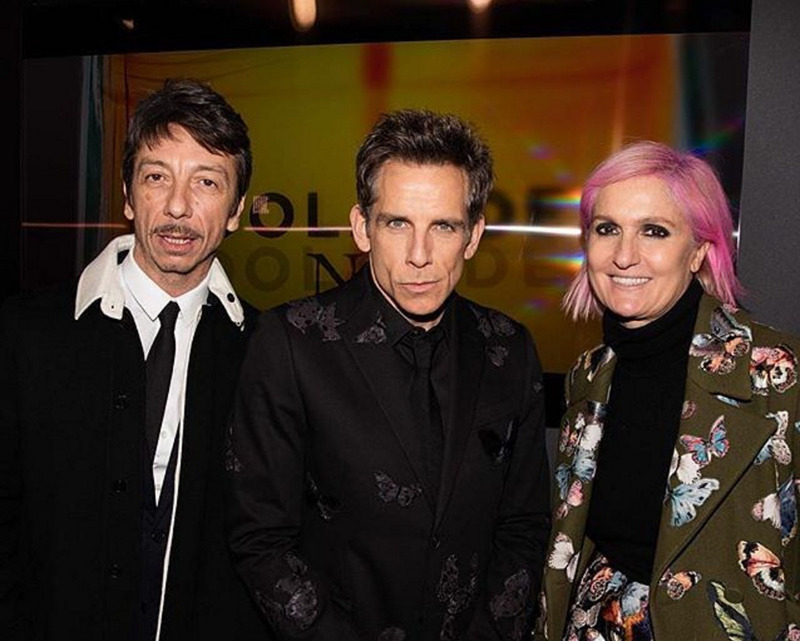 She’s elegant, but also popular and in touch with pop culture – she’s brave in her personal style choices and even sported bright pink hair for the Zoolander 2 premiere. Can she do the same for Dior, which is literally adored by the fashion world, but has struggled in recent times with scandal (remember John Galliano and that scandal?) and being without solid design leadership. Time will tell, but I’m officially excited. Want to see some of Chiuri’s recent mastery at Valentino? We featured her popular Wonder Woman and Hawaiian capsule collections here.